providing quality services in a dignified and professional manner. Getting there is half the fun, and show stopping, awe-inspiring getaways are one of the most memorable Wedding Day moments. A sleek chauffeured classic car arriving to whisk you away in Hollywood style, adds glamour and excitement to an already thrilling day. $100.00 deposit required Discount may be applied when using additional vehicles. 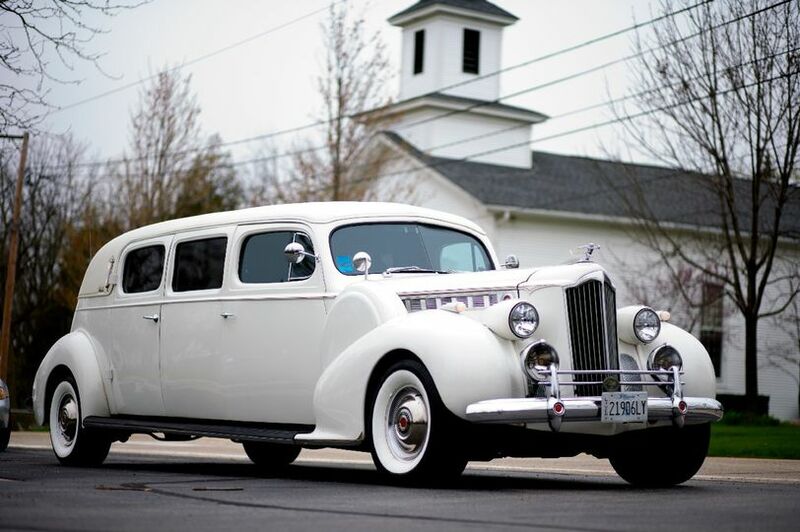 We rented their white 1939 Packard and it was a show stopper! 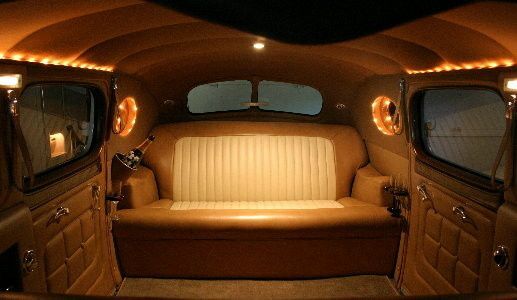 It was very comfortable and the champagne was such a treat for me and my husband. It was worth every penny! Extremely prompt and professional. 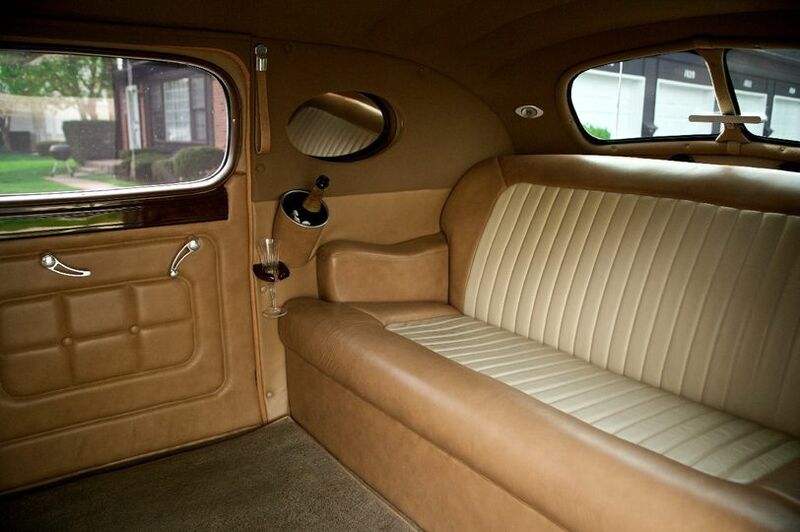 We rented the 1939 Packard and completely enjoyed ourselves. My father isn't with us any longer and 1939 was the year he was born; therefore, he was definitely with me on our special day. Cosmopolitan laid out a red carpet for us at the church and had champagne for us in the limo. They made our day extra special. Every wedding has a last minute disaster. Cosmopolitan Limousine bailed us out of ours, making our planning snafu look like something we meant to do. My wife and I had arranged with an acquaintance to drive off from the church in their antique vehicle. Unfortunately, a few days before the wedding they changed their minds and told us we couldn't use the car. I scrambled, calling around to a number of local classic limousine companies. 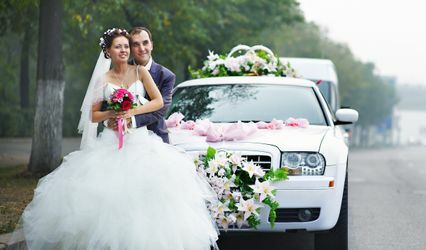 Not to cast aspersions on the industry, but unfortunately, limousine owners can be amongst the shaddiest vendors you will deal with when planning a wedding, causing me some trepidation. Furthermore, it was hard to even find companies with cars available last minute, or willing to let their cars out in the winter weather. 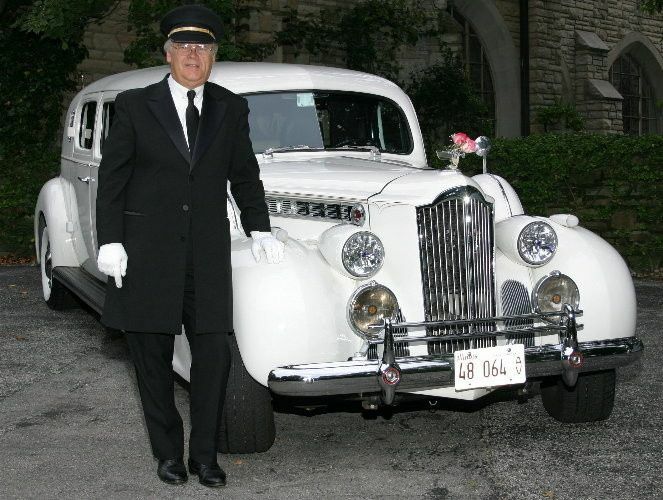 However, I came to find out that Jack at Cosmopolitan Limousines is widely respected throughout the Northern Illinois classic limousine community (not the case for all limousines, as I was routinely warned away from certain companies). In addition, Jack was not afraid to let a little winter weather stop his cars (he proudly told me on the phone, "I've driven these cars out in ten inches of snow"). Finally, and most importantly, he had a car available for us a mere three days before the wedding. 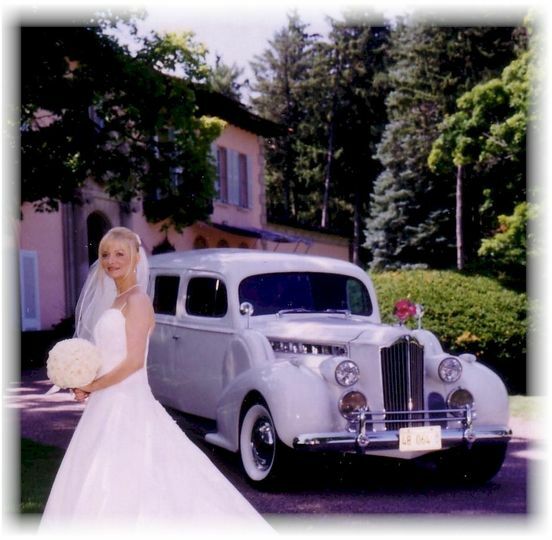 It was a black/dark navy 1947 Cadillac - perfect as our wedding color was navy. Few people realized we had such a major setback, they just thought we got a navy car because it fit with the theme. We took pictures with the car at the Long Grove covered bridge that looked amazing (strongly recommend taking pictures there). 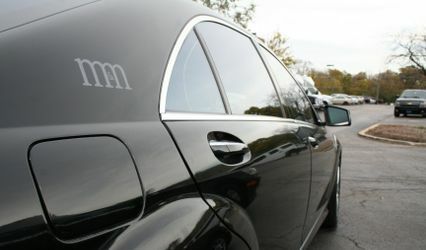 On top of it all, Cosmopolitan Limousine offered the cheapest prices compared to all the other vendors I researched. 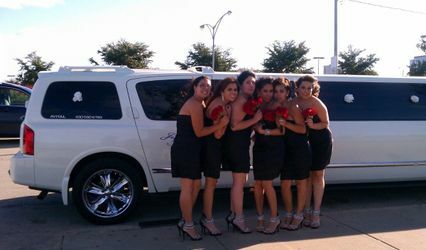 Honestly, my only regret is that we had contracted with a different limousine company to provide transportation for our wedding party. 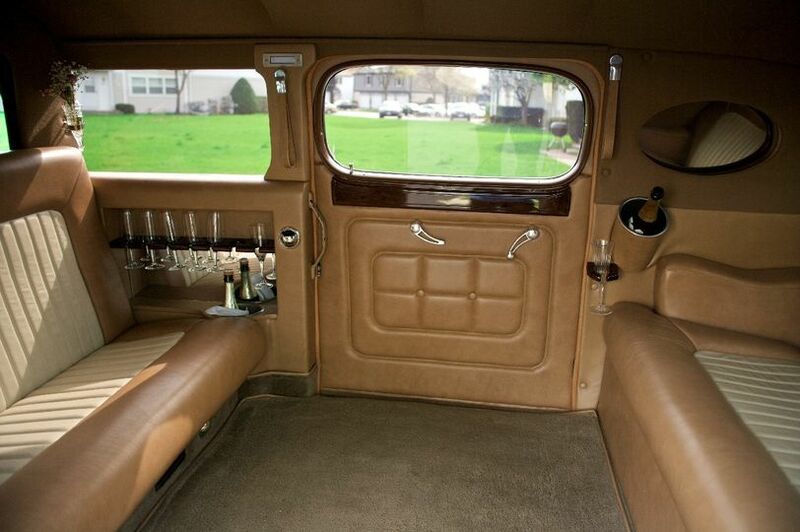 If I were to do it all over again, I would have hired both limousines through Cosmopolitan Limousine.